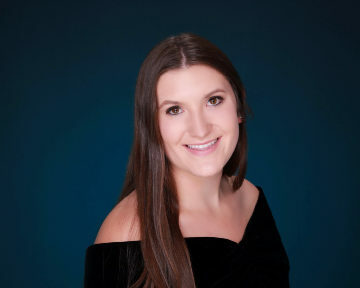 LOS ANGELES - July 31, 2017 - PRLog -- The National Society of High School Scholars (NSHSS) today announced student Brooke L. Migdal from Tarzana, CA, has been selected to become a member of the esteemed organization. The Society recognizes top scholars who have demonstrated outstanding leadership, scholarship and community commitment. The announcement was made by NSHSS Founder and Chairman Claes Nobel, senior member of the family that established the Nobel Prizes. "On behalf ofNSHSS, I am honored to recognize the hard work, sacrifice and commitment that Brooke has demonstrated to achieve this exceptional level of academic excellence," said Nobel. "Brooke is now a member of a unique community of scholars, community that represents our very best hope for the future." "We are proud to provide lifetime membership to young scholars to support their growth and development," stated NSHSS President James W. Lewis. "We aim to help students like Brooke build on their academic success by connecting them with unique learning experiences and resources to help prepare them for college and meaningful careers." NSHSS members automatically become lifetime members at the time of their initial membership. At each step along the way - from high school to college to career - NSHSS connects outstanding young scholars with the resources they need to develop their strengths and pursue their passions. Formed in 2002 by James W. Lewis and Claes Nobel, senior member of the family that established the Nobel Prizes, The National Society of High School Scholars recognizes academic excellence at the high school level and helps to advance the goals and aspirations of high-achieving millennials through unique learning experiences, scholarships, internships, international study and peer networks. Currently there are more than 1,000,000 Society members in 160 countries. To help us further efforts that provide students with continued opportunity, please acknowledge NSHSS in any press release mentions by providing a resource link to www.nshss.org. For more information about NSHSS visit http://www.nshss.org.